Do you have a garden that looks rather dull and has no design? Perhaps you want to entertain friends and guests throughout the summer BBQ season and need to have a space in the garden designed for that. Contact Essex Garden Care today on 0800 043 3913 for any questions you might have with their landscaping service. There are several reasons to extend your homes décor into the garden and create an inviting space that all people can enjoy throughout the majority of the year. If you had an overgrown garden that has been cleared of all the weeds, but now is a simple grass garden only suitable for boys playing football – where would you fit your guests in for entertainment? By using a good landscape designing company or outsourcing the landscaping design of the garden, you will be able to create sectioned areas so that everyone n the household can have the opportunity of spending more time outside and there are numerous studies that show the benefits of more time outside. Studies have shown that having a well designed garden, can add up to 10% of the property value when it comes to selling. The average prices in Southend vary from £250k to over £1.5 million, meaning that by having a well designed outside space can easily add anywhere between £25k to £150k to the value of your property when you come to sell it! If you have a garden that has herbs and a flower section, you will be able to save money on shopping bills for herbs in the long run, as they can be grown organically, allowing you to simply ‘nip outside’ to grab a twig of rosemary to add to your Sunday roast. Perhaps you would rather create your own bouquet of flowers for friends and family, rather than continually purchase them at a premium at the local supermarkets. Your garden is part of your home and in not maintaining and looking after it you are missing out on living a fresher live outside. 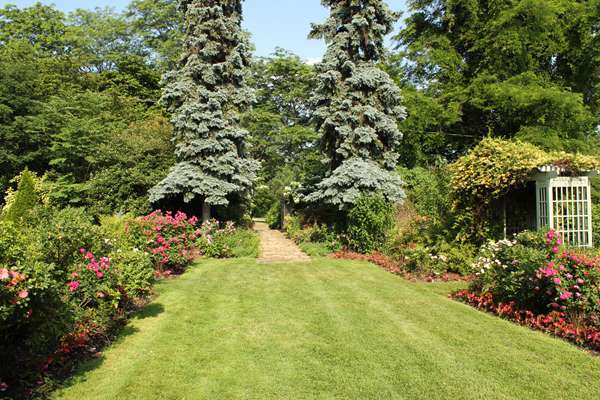 Call Essex Garden Care today on 0800 043 3913 for more details and how we can give your garden more life in the future.